Normalcy is beginning to return to International Space Station operations as the crew of Soyuz MS-11 successfully launched and docked with the orbiting outpost—seven weeks after an in-flight abort thwarted plans of the previous human spaceflight. Liftoff took place atop a Soyuz-FG rocket at 11:31 UTC Dec. 3, 2018, from Baikonur Cosmodrome in Kazakhstan. 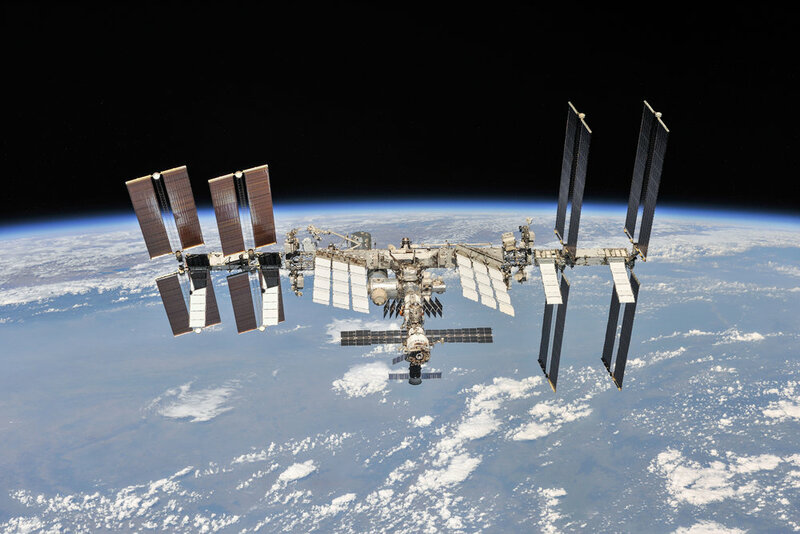 Nine minutes later, Russian cosmonaut Oleg Kononenko, NASA astronaut Anne McClain and Canadian Space Agency astronaut David Saint-Jacques were in orbit to begin their four-orbit chase of the ISS. It is the first flight for both 49-year-old Saint-Jacques and 39-year-old McClain and the fourth for 59-year-old Kononenko, who stayed a combined 533 days in space—mostly aboard the ISS—between three long-duration flights in 2008, 2011-2012 and 2015. About six hours after leaving Kazakhstan, the trio rendezvoused with the ISS and autonomously docked to the space-facing Poisk module at 17:33 UTC. Several hours of leak checks later, the hatches between the space station and Soyuz were opened at 19:37 UTC and they were welcomed by the already-aboard Expedition 57 crew—European Space Agency astronaut and ISS Commander Alexander Gerst, NASA astronaut Serena Aunon-Chancellor and Russian cosmonaut Sergey Prokopyev. 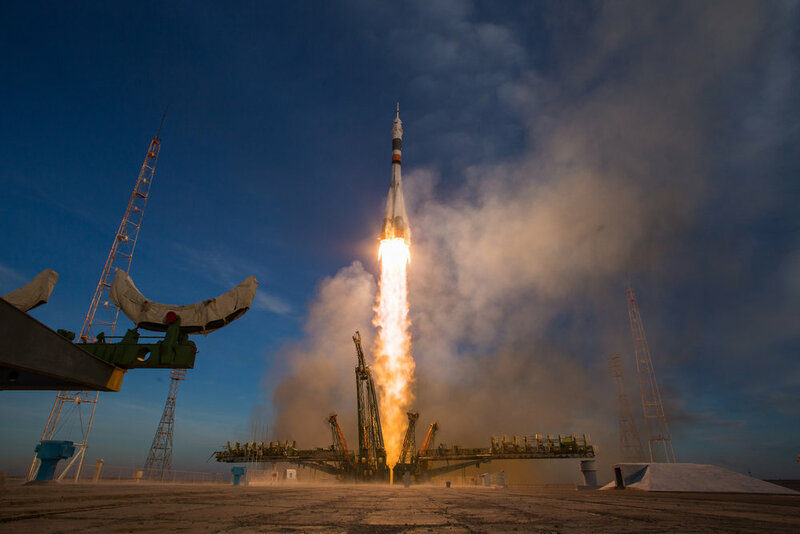 This was the first human spaceflight of the Soyuz-FG rocket since the Oct. 11, 2018, flight of Soyuz MS-10, which aborted about two minutes after liftoff when an improper booster separation occurred, resulting in the breakup of the launcher. Aboard Soyuz MS-10 were Russian cosmonaut Aleksey Ovchinin and NASA astronaut Nick Hague, who had planned on being aboard the ISS for about six months. Instead, the rockets fairing abort motors had pulled the capsule and its two human occupants safely away from the vehicle. The capsule then performed a ballistic reentry profile before landing downrange in Kazakhstan about 20 minutes after leave Baikonur Cosmodrome. An investigation found that a separation sensor was improperly installed on one of the four strap-on liquid-fueled boosters—collectively known as the first stage. This prevented it from falling away from the core stage—known as the second stage—before re-contacting the structure, causing the vehicle to fail. Subsequent Soyuz rocket variants, including a Soyuz-FG with the Progress MS-10 space station resupply spacecraft in mid-November, showed the vehicle was safe to fly humans. In the aftermath of the failure, Expedition 57 was not joined by Hague and Ovchinin. This meant that—among other things—several spacewalks had to be postponed, including two to install lithium-ion batteries on the outpost’s exterior. Moreover, the Soyuz MS-11 flight was moved forward by several weeks from its originally-planned Dec. 20 launch, while Gerst, Prokopyev and Aunon-Chancellor—who launched in June 2018 in their Soyuz MS-09 spacecraft—delayed their ISS departure from Dec. 13 to Dec. 20. 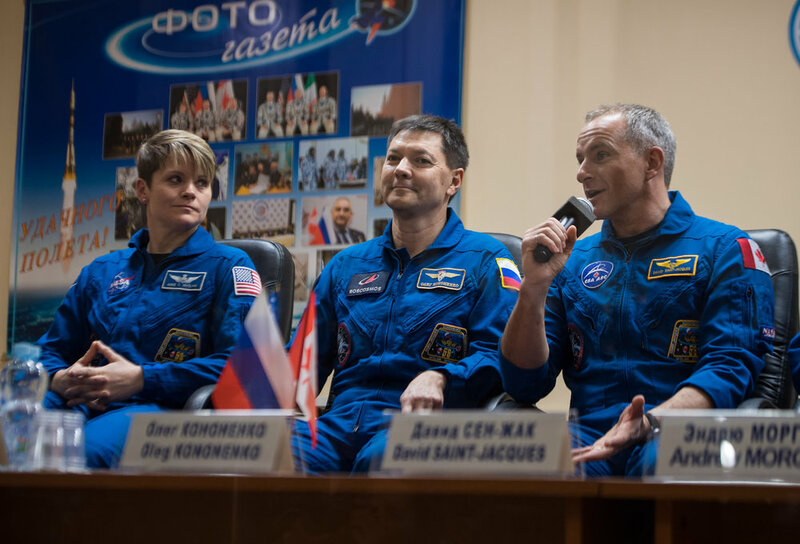 Additionally, since Hague and Ovchinin are not aboard the outpost, they will not be part of Expedition 58, which will now only be a three-person crew for several months. Ovchinin and Hague are set to launch to the outpost again aboard Soyuz MS-12, which is expected to launch in February 2019. They will be joined by NASA astronaut Christina Hammock Koch. In the mean time, the rest of 2018 is expected to be rather busy for the ISS. Less than 24 hours after Soyuz MS-11’s arrival at the ISS, SpaceX is set to launch its CRS-16 Dragon. The Dec. 4 launch is expected to occur in Florida at 1:38 p.m. EST (18:38 GMT) from Cape Canaveral Air Force Station’s Space Launch Complex 40. Dragon should rendezvous and berth with the Earth-facing port of the station's Harmony module two days later on Dec. 6. After that, Kononenko and Prokopyev are set to perform a relatively short spacewalk—Russian EVA-45a—on Dec. 11. It is expected to include a variety of tasks, including an inspection of the exterior hull of Soyuz MS-09, which was found to have a small hole in the spacecraft’s Orbital Module back in August. This hole was discovered after a slight pressure drop was noticed by NASA's Mission Control in Houston on Aug. 29. Once found, it was quickly sealed with an epoxy resin, which has since held. An investigation in Russia found the hole was likely caused on the ground and subsequent spacecraft have been checked for similar manufacturing defects. Finally, on Dec. 20, Soyuz MS-09 with Prokopyev, Gerst and Aunon-Chancellor will undock and land. According to NASA, Expedition 58 will officially begin. Kononenko, Saint-Jacques and McClain are expected to remain aboard the ISS until June 2019. Kononenko is expected to be the commander for the duration of their six-month mission, which is set to conduct or continue work on hundreds of experiments in areas ranging from biology, biotechnology, physical science and more, according to NASA.